International Education Week, hosted many events where the Kean community could learn about different cultures. As a university that prides itself on its diverse campus, Kean University allows various clubs and organizations the opportunity to showcase their cultures. A plethora of events were created to explore many cultures at Kean from Monday, Nov. 12 to Thursday, Nov. 15.
International Education Week is an event that takes place in colleges all over the country to implement a sense of diversity and community among a variety of people, languages and cultures. 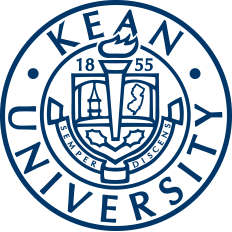 Here at Kean University, this event is achieved through departments like: Asian Studies, Center of International Studies, Africana Studies, Wenzhou-Kean University Student Association (WKUSA) and International Student Association (ISA). The first event that took place Monday, Nov. 12 was the Global Harvest. The Global Harvest event was hosted by Asian Studies to share culture through food. Other organizations aside from Asian Studies present at this event were WKUSA, ISA, CIS, Jewish Studies Program and Indian Cultural Club. Upon entering the room, flyers could be seen on the tables about the organizations' mission and information, along with dishes such as Nigerian Puff Puff, South African Droewors, Melktert and other snacks from the organizations' country of emphasis as well. The next event on Tuesday, Nov 13 was the African Celebration of Music and Political Influence hosted by Africana Studies. Africana Studies has the opportunity to bring Baba Neil Clarke, a percussionist who has played alongside inspirational influencers like Harry Belfonte and Dianne Reeves. Following that event, the WKUSA hosted a hotpot dinner Thursday, Nov. 15. A hotpot dinner is a Chinese method of cooking in a simmering pot of soup stock at a dining table full of other people. Usual hotpot dishes include vegetables, seafood, meat, mushrooms and can be served with a dipping sauce. This event brought a different perspective on how meals can be eaten and cooked according to Chinese tradition. The final event to end International Education Week is the International Dinner. The International Dinner will take place Wednesday, Nov. 28 from 7 to 11 p.m. in Downs Hall. 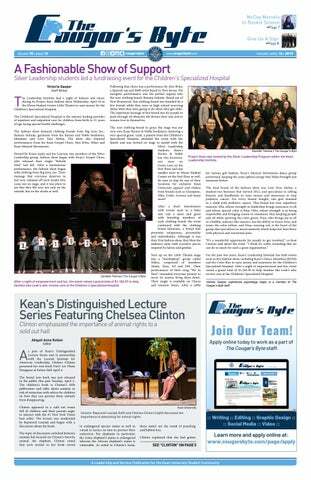 Kean University will always be a school that allows students and faculty to spread awareness and knowledge about its culture. With the main organizations and departments like Asian Studies, Haitian Student Association or Latin American Student Organization, students can expose themselves to a variety of information. Students wishing to be more culturally active, or involved with each of these organizations and departments, can find them on Cougar Link.